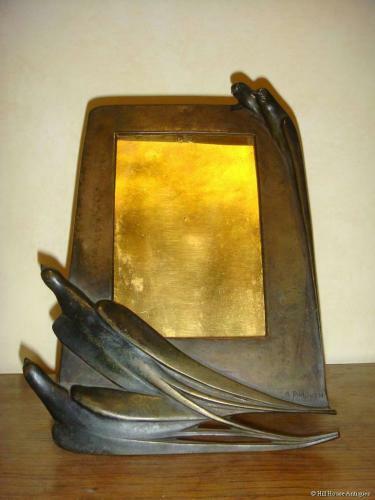 Extremely stylish and well cast Glasgow Style Art Nouveau bronze photo frame by the noted Austrian born, German sculptor, Anton Puchegger (1878-1917); c1900. Very much in the Glasgow School manner of Peter Wylie Davidson. Puchegger was mainly known for his animal sculptures and indeed there was an exhibition dedicated to his work only earlier this year at the famous Brohan Museum in Berlin.